There are two other low top Jordan 1's releasing as well. The Air Jordan 1 is one of the most iconic Jordan Brand sneakers of all time thanks to its simple design that can support almost any colorway. It's a sneaker that transcends basketball and has become a fashion staple. You can pretty much pair anything with some 1's, even a suit if you know how to match. While it may not be that popular, the Air Jordan 1 also has a low top version, appropriately called the Air Jordan 1 low. The low top model doesn't get all that much love but when a new colorway comes out that pays homage to a classic, people tend to pay attention. One of those classic Jordan 1 colorways is the Chicago "Black Toe" model. 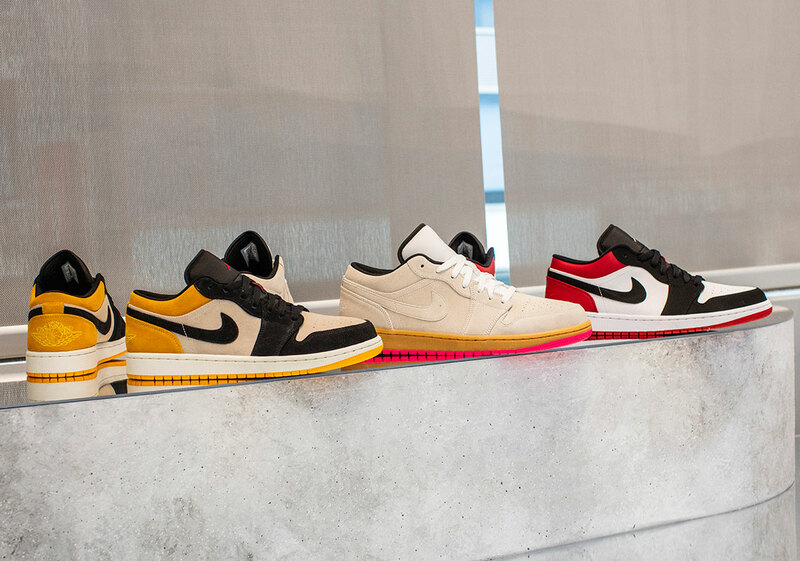 Based on new images from a recent Jordan brand event, it appears as though that exact color scheme will be coming to the Jordan 1 Low. As you can see from the pictures, the shoes are comprised of tumbled leather and suede. White tumbled leather is found on the toe box and the side panels, while black suede overlays and a red heel round out the features. According to Sneaker News, two other colorways of the Air Jordan 1 Low will be dropping alongside the "Black Toe" version. All three models are expected to drop in the summer for $110 USD.